Tue., March 6, 2018, 11:58 a.m.
Chardonnay is, and continues to be America’s favorite wine. Of course, California leads the way, and with 675,000 tons crushed in last fall’s harvest, chardonnay made up 16 percent of the state’s total. In Washington, where chardonnay is the No. 1 white grape and No. 2 overall, winemakers crushed about 45,000 tons in fall 2016. This is a number that has steadily risen in recent years. As of 2017, acreage in Washington has nearly topped 7,700 acres, up from 2,600 acres as recently as 1993. 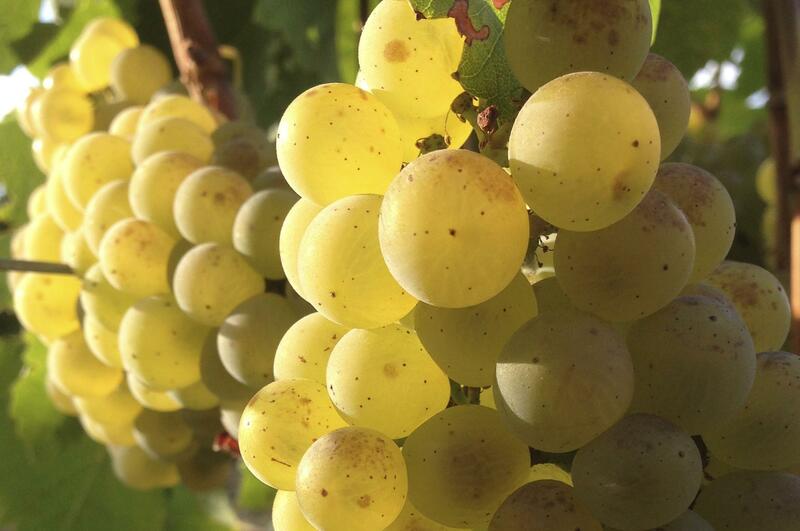 Chardonnay arrived in Washington in 1963, and has steadily grown since then. Of course, leading the way is Ste. Michelle, which reportedly makes more a million cases a year, rivaling its production of riesling. Chardonnay can be made in several styles, from heavily oaked to clean, sleek styles made in stainless steel tanks, and combinations of both. This exploration of styles is injecting renewed interest in chardonnay among wine lovers. Here are a few examples from Washington, Oregon and Idaho we’ve tasted recently. Ask for them at your favorite wine merchant or contact the wineries directly. Ponzi Vineyards 2014 Chardonnay Reserve, Willamette Valley, $40: Here’s a classic chardonnay nose with butter and toasted filberts leading into dusty Asian pear and sugar cane. Complexity is created as beaming acidity, combined with the 18-month barrel program of less than 10 percent new French oak, preserves flavors of starfruit, clementine and Granny Smith apple. Long Shadows Vintners 2015 Dance Chardonnay, Columbia Valley, $37: The duo seems to have found their mark, starting with warm-climate Wente clone from California planted at two cooler Yakima Valley sites near Prosser — Boushey Vineyard and Crawford Vineyard. Half of the lot went through Nicault’s prized concrete egg, while the other half went through French oak, 30 percent of those barrels were new. That keeps the fruit at the forefront, launching with aromas of a lemon bar, starfruit and baked Bosc pear, backed by brioche and light toast. Boomtown by Dusted Valley 2016 Chardonnay, Washington, $19: Dusted Valley’s team hasn’t strayed from their winning formula of 59 percent barrel fermented in neutral oak, which went through full malolactic fermentation and bâtonnage for four months. Spindrift Cellars 2016 Chardonnay, Willamette Valley, $22: Willamette Valley producers largely have replaced this with Dijon clones from Burgundy, but longtime grower/winemaker Matt Compton enjoys working with the now-obscure clone 108 for his chardonnay program. It’s easy to see why, and there is still a large swath of wine lovers who adore chardonnay offered with such hugely tropical notes. Drumheller Wines 2015 Chardonnay, Columbia Valley, $12: Ste. Michelle Wine Estates targeted this young bargain brand for sales in restaurants, and winemaker Tim Jones almost immediately began earning acclaim and amassing gold medals for the reds wines. And the 2015 Chardonnay shows a lot of style, thanks in part of the grapes that come from the surrounding Horse Heaven Hills where it is made. Named for the Drumheller Channels carved out near Moses Lake by the Ice Age floods, Jones deftly uses a blend of 50/50 blend of stainless steel fermentation and 10 months of oak barrel fermentation to create a charming Chardonnay. Ste. Chapelle Winery 2016 Panoramic Idaho Block 16 Chardonnay, Snake River Valley, $20: Boise native Meredith Smith took over as head winemaker a few weeks prior to the start of the 2016 harvest, and her debut vintage for Ste. Chapelle serves notice of delicious things in store. Grapes for these eight barrels of chardonnay came from 400-acre Skyline Vineyard, and there’s light oak with toast and nuttiness alongside apple and lemon/lime acidity. Published: March 6, 2018, 11:58 a.m.